Catchment school for the parishes of Twyford, Poundon, Charndon, Calvert and Calvert Green. 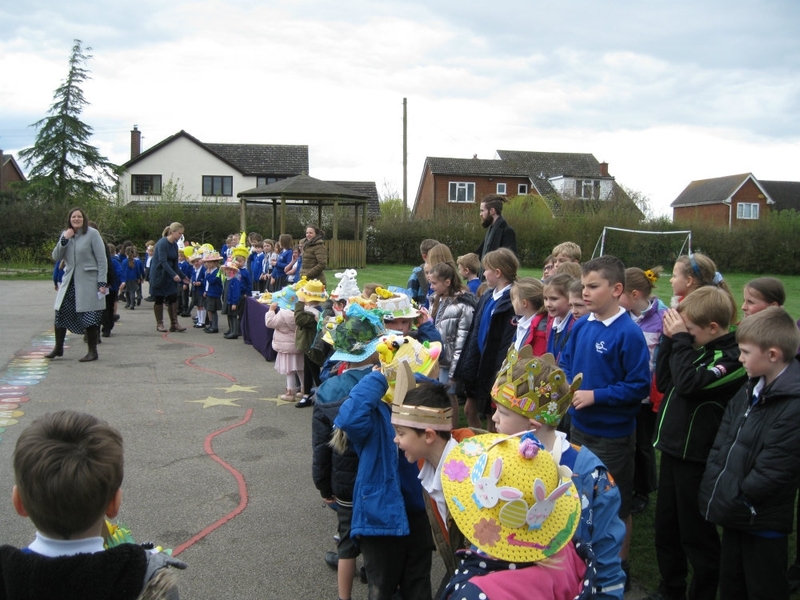 Despite the overcast sky threatening rain, the FOTS Easter Parade this afternoon was a great success and everyone’s beautiful easter bonnet and decorated egg creations looked amazing. Thank you to the judges Rev Lynda, Roger Landells, Melissa and residents of Lime Tree Court who had quite a task on their hands. Well done to all the winners!